The Machine Shop fabricates and assists with design of prototypes, mechanical equipment, and coursework needs while utilizing various fabrication tools. Use must be related to either funded research or your school work. You must obtain permission from your faculty advisor. You must complete the "Student Safety Training Session" offered in the shop. Register for this by sending an email to Steven Sheffield. You must have a training agreement signed by you and the shop instructor. Please help keep this shop clean and safe. If you abuse the shop you will lose your privilege to use it. 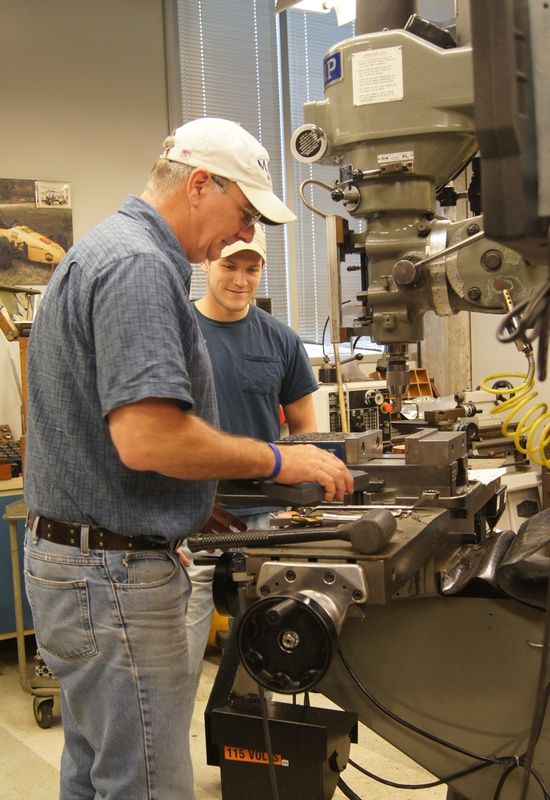 Steven Sheffield manages the machine shop and supervises the Precision Machining Laboratory; he provides assistance to students and faculty on funded research projects.